Exquisite from top to bottom, Yogi! 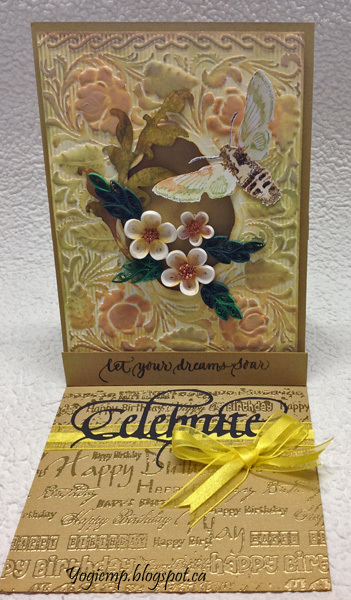 Really lovely creation, super embossing folder and a great easel card. Thank you for joining our 'Colours of Autumn' challenge this week at Allsorts. Your easel cards are always so beautiful!! And this one is stunning!! 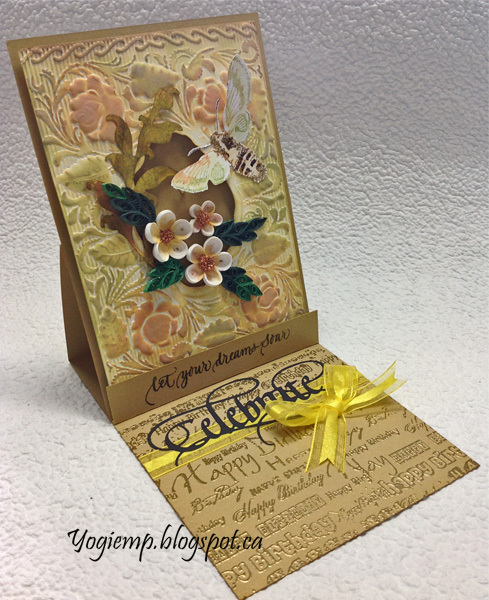 I love the embossing folders you used and that little strip on the inside to hold it open is fabulous! It's just perfect for your sentiment. Great idea! Thanks for playing with LTSCB. A beautiful Autumnal creation and perfect for our theme this week, many thanks for joining us at Allsorts challenge. Beautiful colors on your gorgeous card! I love the Victorian look to your card! Thank you for sharing with us at Scrapy Land Challenges!